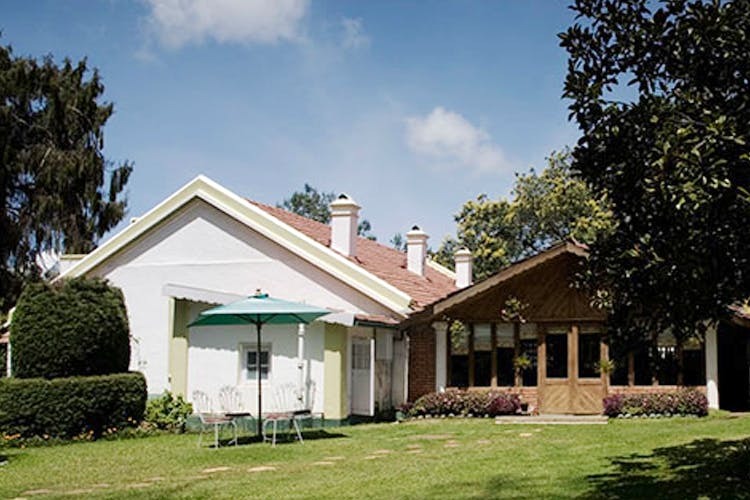 Move away from the more touristy spots of Ooty and settle for something colonial and old world. Lymond House is perfect for romantic weekend getaways as it tucked away in the wilderness of the Queen of the Hills. What we love about this beautiful homestay is its very distinct and heavy colonial architecture and feel. Be it the Victorian drawing room with a fireplace, four-poster beds in the bedrooms, or the antique furniture around the house, everything about this homestay speaks about the time British used to stay here. The fireplace happens to be our favourite spot simply because on a cool night there’s nothing better than settling down with a book or your iPod. Did we mention that there’s even a grand piano in the drawing room? Also, the British feel doesn’t just stop at the decor and look of the homestay. Even the staff are well mannered and friendly. To say the least, their quick and always available on call attitude, made us feel like we have a butler for ourselves. The homestay is perfect for those spontaneous getaways with your partner. The prices start from INR 4,500 per night and is inclusive of breakfast, free WiFi, and hotel amenities. During the day time, you can either request for a guided tour or go explore the surrounding place for yourself. Apart from taking a stroll around the laid back town of Ooty, might we suggest visiting the Nilgiris Library, Stephen’s Church, Dodabetta Peak and the Botanical Garden as well. If time permits, you can even take a ride in the famous Nilgiri Mountain Train as well.